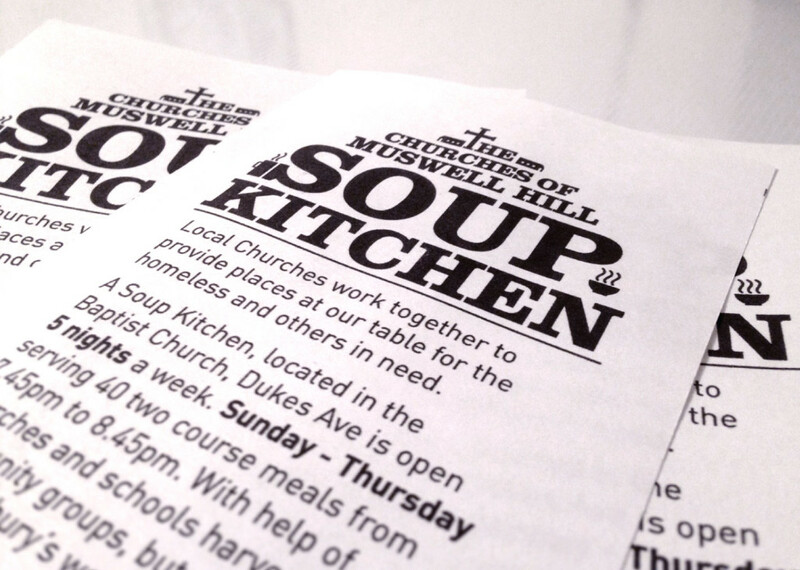 The soup kitchen in Muswell Hill is made up of 10 local churches in the area. Completely run by volunteers (which I am one of them) without any funding, donations and fundraising is vital. However, during fundraising events, many people did not realise which charity they were. An identity was needed. 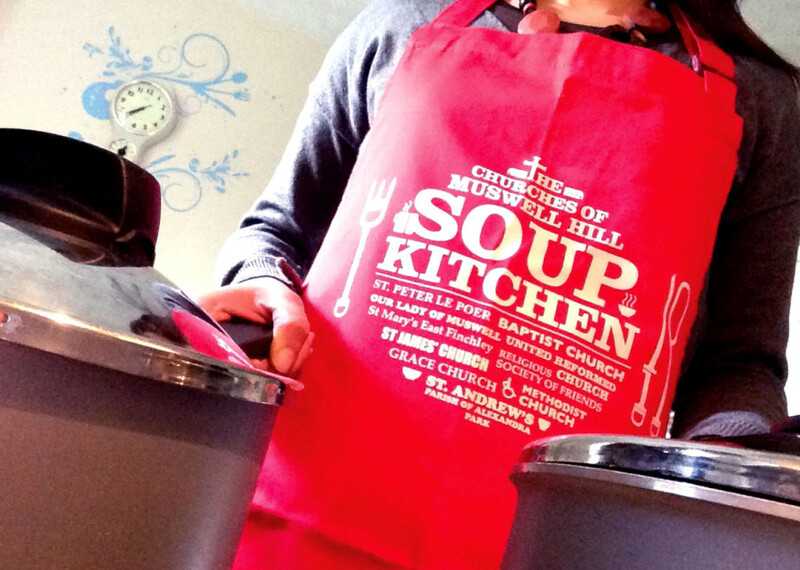 The challenge was to have an identity that could be used on aprons as well as leaflets that could be photocopied to keep costs down. 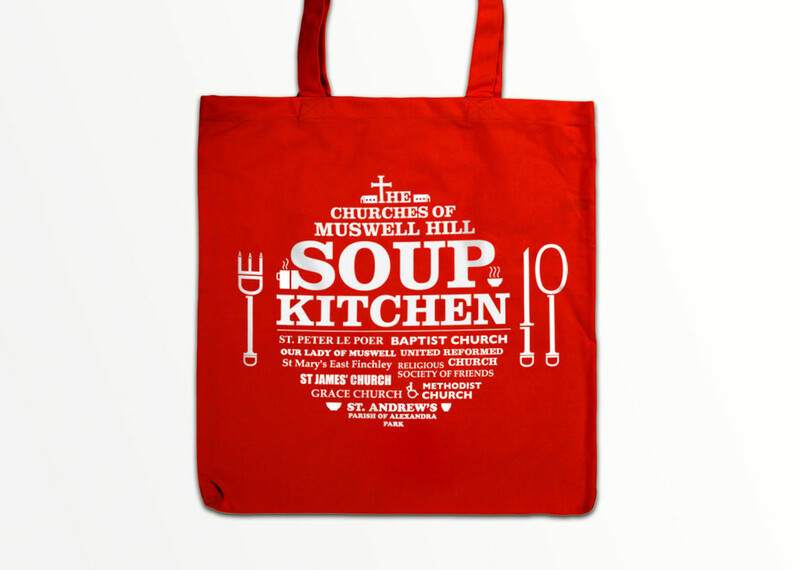 The names of all 10 churches was also requested to be on the main identity. A typographical approach was used to solve this. 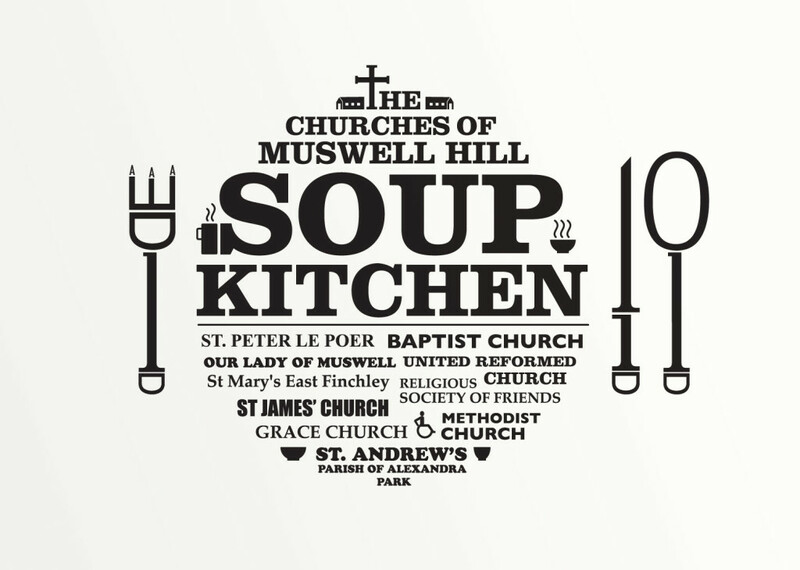 The names of the churches were placed under a title of Soup Kitchen, in a shape of a plate and cutlery – entirely made up of typography. Clean and crisp, this would work very well even when photocopied. The id is being used on various items and is now a recognisable symbol among the locals.